A new campus group is ready to get in your face. 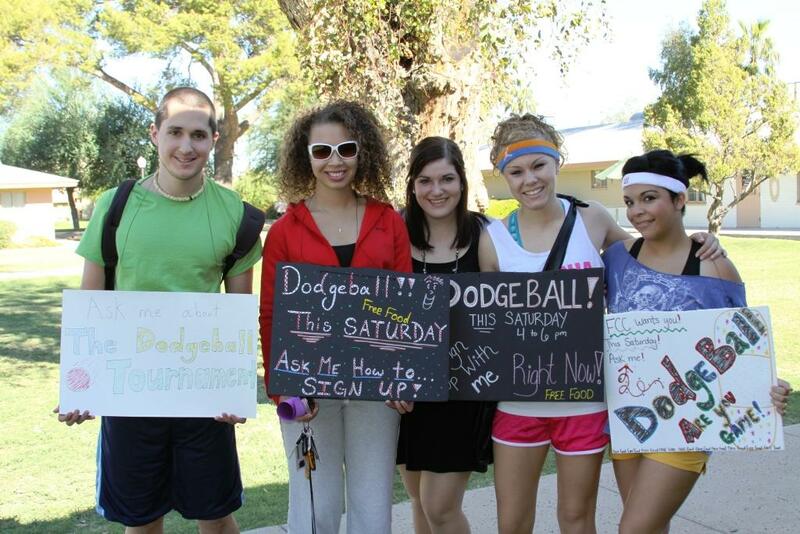 The Freshman Class Council (FCC) is hosting its first event this weekend, so come dodge balls for free food. A dodgeball tournament will be held from 4 to 6 p.m. Saturday in the Student Recreation Center. Sign up in the ASGCU office in the Student Union. Immediately following the tournament, there will be a tailgate party with free food prior to the men’s basketball game at 7:15. The FCC convened earlier this semester, with 15 members selected from more than 30 applications. Hull is the ASGCU connection for the FCC, acting in an advisory capacity and helping in the selection process. Not only did applicants need to apply and interview for the opportunity, they had to create a cover page. Not a typical cover page, though: Students had to be creative in demonstrating their personalities on a poster. Pre-nursing major Jenna Chittenden used cardstock, photos and random words to create a montage that illustrated her personality. Stephen Hartt described some of the required questions: Why would you want to be a part of FCC? If you could have dinner with any three historical people, who would they be? Unlike the other FCC, this one is willing to have some fun while at work. The group also understands the importance of being involved on campus. Pre-med major Callie Joseph was involved in leadership in high school and feels as if this is a natural extension toward future leadership opportunities. Pre-nursing major Christin Urquijo was involved in high school leadership as well, and she loves the opportunity to connect with her FCC partners. According to Hull, getting involved in leadership is the best way to embrace the college experience and open yourself to the unique opportunities and friendships available. Contact Zane Ewton at zewton@gcu.edu.